Perseverance means to continue a task even though things aren't going your way and you need a confidence booster. Some of the Best Perseverance Stories Ever! 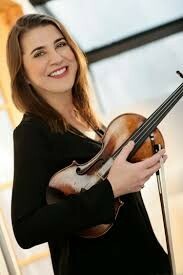 Nadja is an amazing violinist and can be described as the best violin player today. At a young age she decided to play the violin. She started off as a normal kid who didn't really know the basics. As she got older, she started to doubt herself and couldn't even play a G-major scale in tune. She started to get mad and wanted to give up. Instead her friend told her to not give up and understood what she was going through. When Nadja won a competition that would make her world famous. She became proud of herself and never gave up. 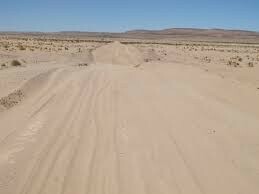 On the Sandy Road, two men are trying to make it across a desert to trade goods to a town nearby. They have problems along the way. With their smart thinking, they find ways to make it across the desert. They found resources and used animals to them help along their journey. The two men would end up safe and never gave up along the way. Caine is a worldwide sensation. How, you ask? 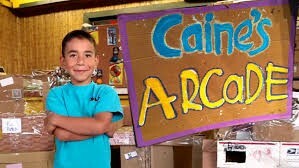 Well, he built a cardboard arcade that inspired millions of kids around the world to do cardboard projects like Caine. He started off as a boy with a cool idea that was rejected by other people. He never gave up and decided to tell his friends, but his friends didn't believe him. Then a producer played his games and decided to put Caine's Arcade on social media sites. Now he has more customers and business is through the roof. Jackie Robinson was a Major League baseball player that played in the 1940's. He was the first person to break the color barrier for sports. 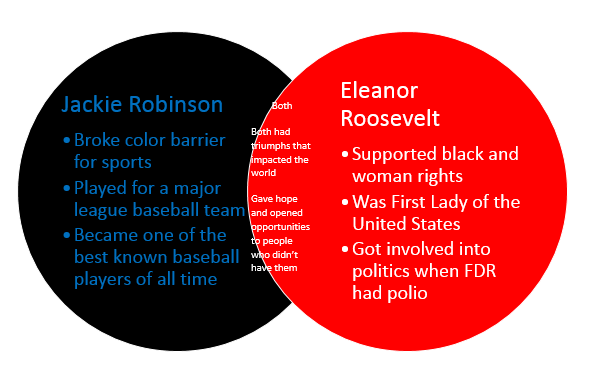 Eleanor Roosevelt was the First Lady for President Franklin Delano Roosevelt. She supported people for their rights and made the government support her. 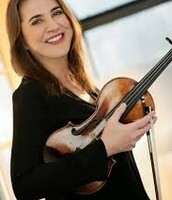 Nadja Salerno-Sonnenberg is one of the most famous violinists in the world. Nadja started playing violin as a young child. 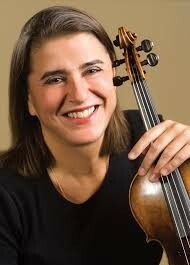 When she attended Julliard, she didn't think she was good enough and gave up playing for seven months. Her friend told her to not give up. She entered into the Walter W. Naumburg Violin Competition to play with some of the most famous orchestras in the world. When she entered the contest she was worried if she would make it to the next round of the competition. That night Nadja set her apartment on fire. She wasn't complacent with the way things were after the fire. She was forced to leave her apartment and had to find somewhere else to live. She had to move on in her life and continued with the competition. She got the call that would send her to the next round. She would go on to win the competition. In the competition she was very sad for her companion who didn't win. He really didn't care that she was sorry, he was proud of her. Today, Nadja is playing in places around the world. She has performed in Carnegie Hall and many other places. Nadja is a person who is determined and eager to be successful in her violin playing and will go down in history as one of the greats. 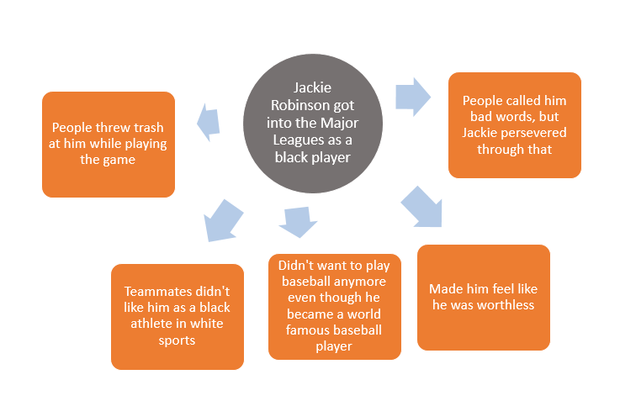 During Jackie Robinson's career he had adversities that made him think twice. People would be extremely rude by calling him names and would throw trash at him. He persevered through that and would end up being world famous. 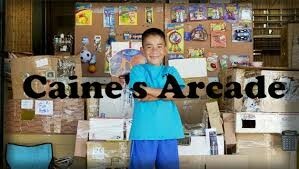 Caine is a young boy living in California that is still adding to his world famous cardboard arcade. He started off by making a basketball hoop. Soon, Caine decided to build his own arcade made out of cardboard. At the beginning, he would get rejected by people and couldn't get any customers. Caine, now had to venture out and find a new way to make money. When he got his first customer to play his games, he found out that he was a movie producer. After the visit, the producer put Caine's cardboard arcade on Facebook, Reddit, and Twitter. Kids were inspired to make their own cardboard attraction(s). Caine's cardboard arcade started the Imagination Foundation. The Imagination Foundation is an organization that allows kids to make anything they want. They can spread their idea(s) around their community for others to play with. Caine has led himself to success and made Caine's Arcade into a worldwide sensation. On the Sandy Road, there are two men who are bringing goods to the nearby town for trading. Before the trek they had to figure out a situation. How are they going to make it across the desert carrying over 100 pounds of goods. They figured out that oxen could do the job and then they began their trek. Another problem occurred to them. They knew that the sand was going to be burning hot. So, they decided to travel in the night. That was a great idea. Then halfway through the trek one of the men heard water running under a rock. The man decided to use all of his strength to break the rock. He used persistence and wouldn't stop until he broke the rock and found water. After he broke the rock, the man and the navigator found a place to sleep that day. The two men finished their trek and gave the goods to the city nearby. They got home safely to their village. During our Unit, we learned about a historical event in New York's history. Orphan Trains carried abandoned or abused children to new towns out west to find new families. 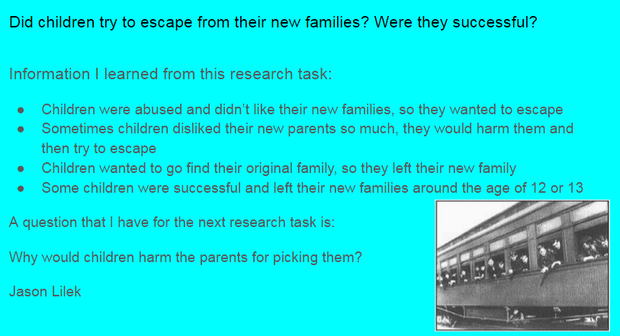 Most of them found a family that loved them. Sadly, others were abused and were treated like "work horses". People have learned to never quit even though they are in trouble. Don't stop something once you have started it. You need to finish it even though there may be obstacles. Just like Jackie Robinson who's black. He was thought of as someone who didn't belong in white sports. That never stopped him from becoming one of the most famous baseball players of all time. Never stop an activity because you're doing bad, you have to finish. Perseverance is something everyone should learn and use every day to keep their life as smooth as possible.